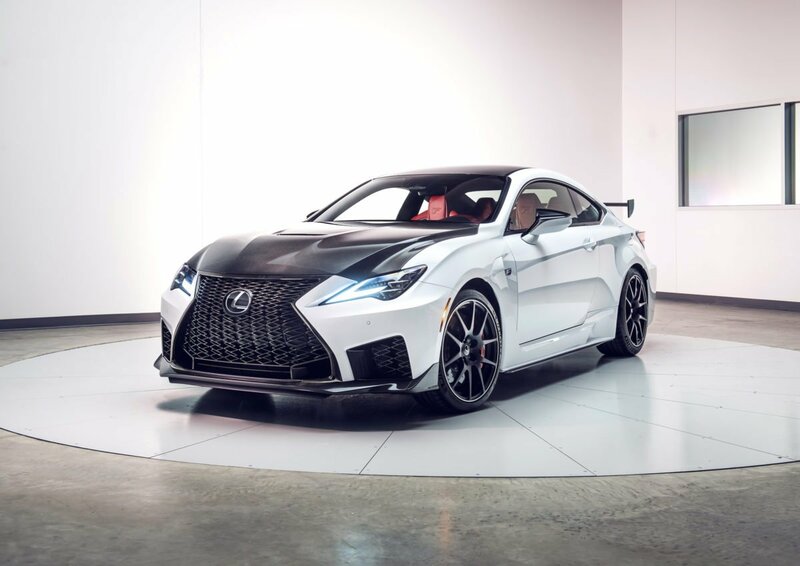 To make the RC F Track Edition a proper performance vehicle, Lexus engineers first targeted weight reduction without compromising the refinement the standard RC F has been known for. 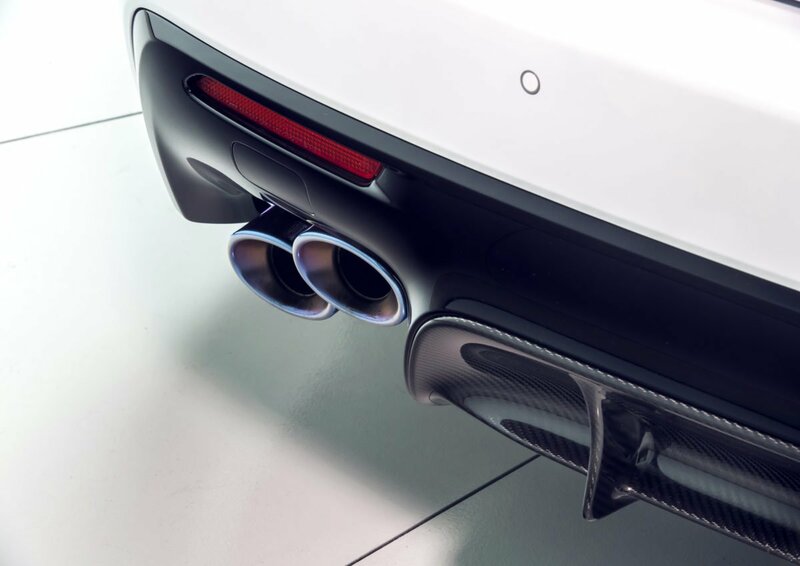 Hollow shafts are used in the rear in place of the standard solid shafts, while a smaller intake manifold and smaller AC compressor reduce weight further at the front of the car. 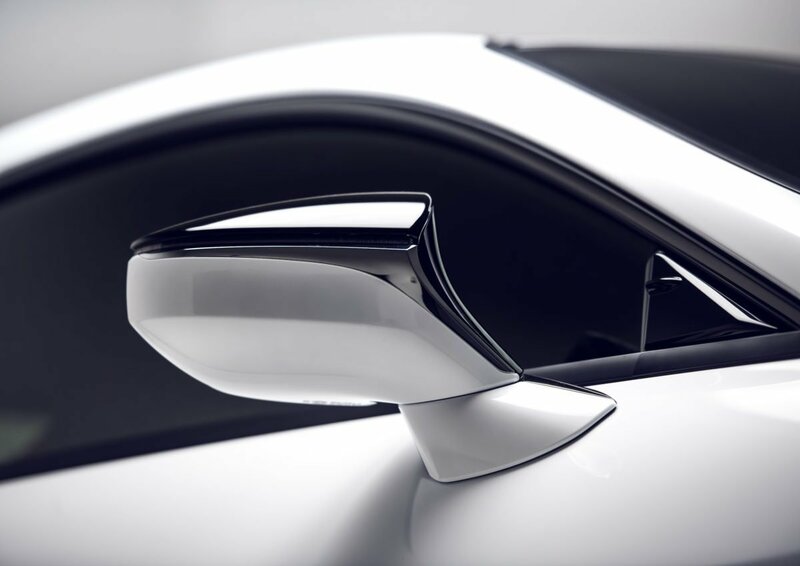 Toe control brackets and upper suspension brackets are now made of aluminum to reduce weight and maintain stiffness. 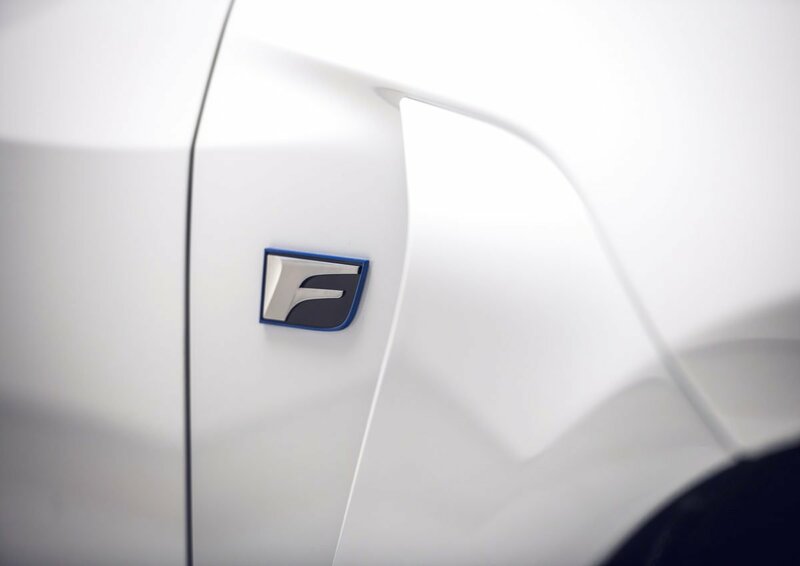 To reduce unsprung weight, the RC F Track Edition gets Brembo carbon ceramic brakes, which sit behind lightweight 19″ BBS forged alloy wheels. 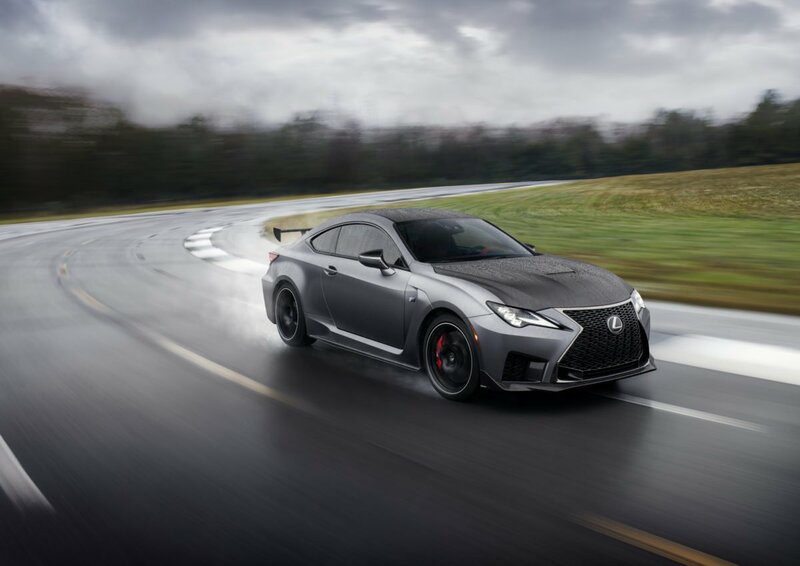 Lexus says that the RC F Track edition has lost an impressive 176 pounds overall, compared to the previous RC F.
The rear suspension gains stiffer bushings on the suspension arms and steering rack mounts, as well as more rigid engine mounts for the 5.0-liter V8. 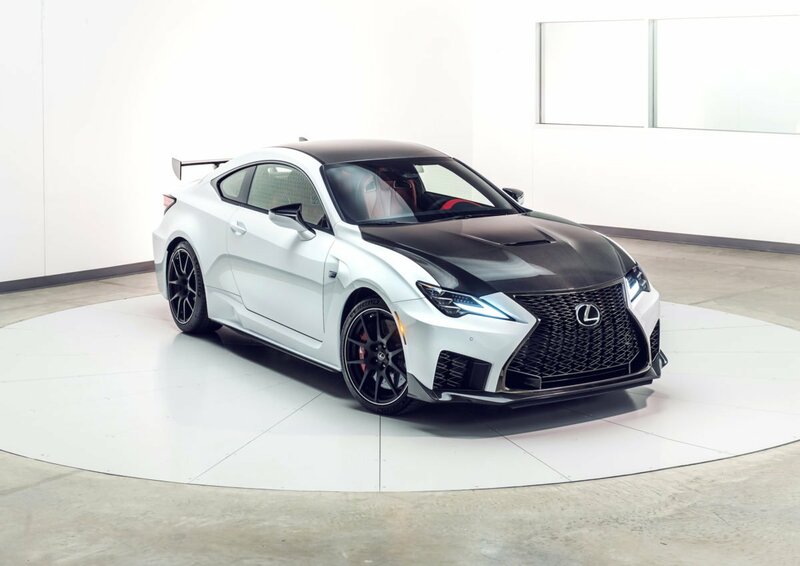 The RC F Track Edition gains five horsepower and six lb-ft of torque, putting it at 472-horsepower and 395 pound-feet of torque. 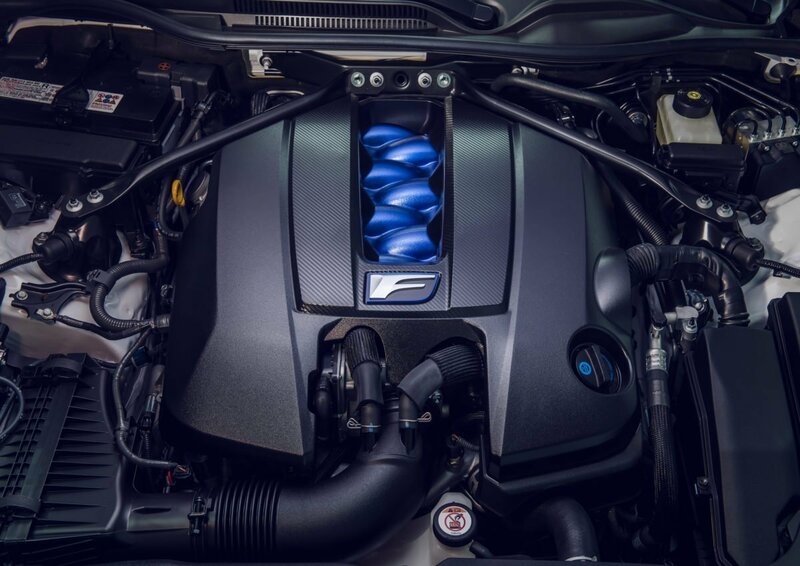 This is made possible by a revised intake with a lower rpm trigger point for the secondary intake. 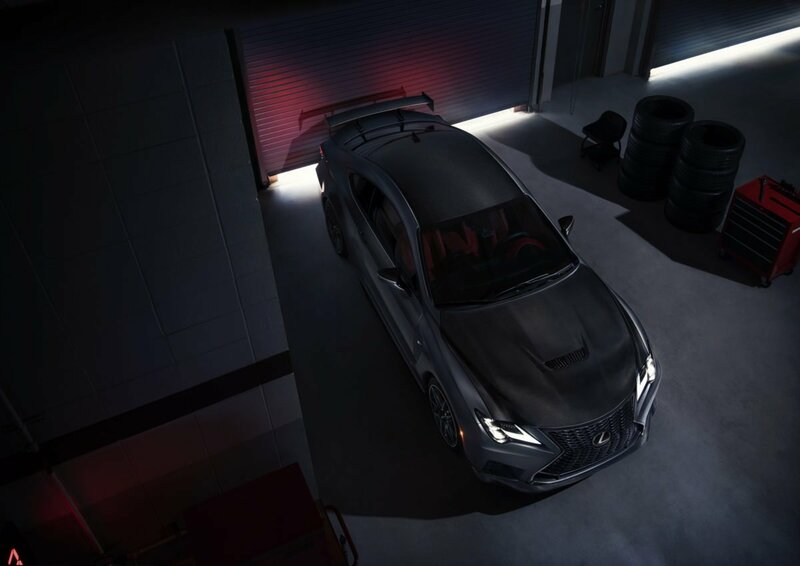 Lexus gave the RC F Track Edition a higher final drive (3.13 vs 2.93) to improve response off the line. 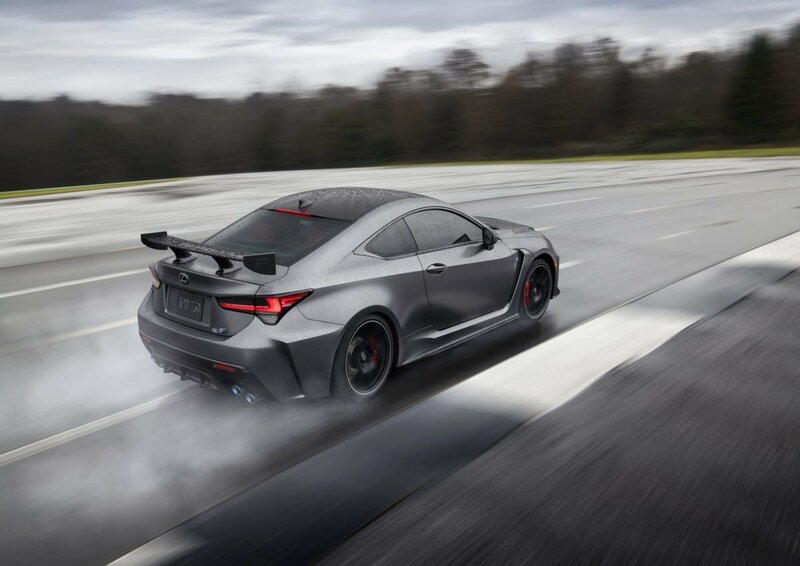 Launch control is standard on the RC F Track Edition. 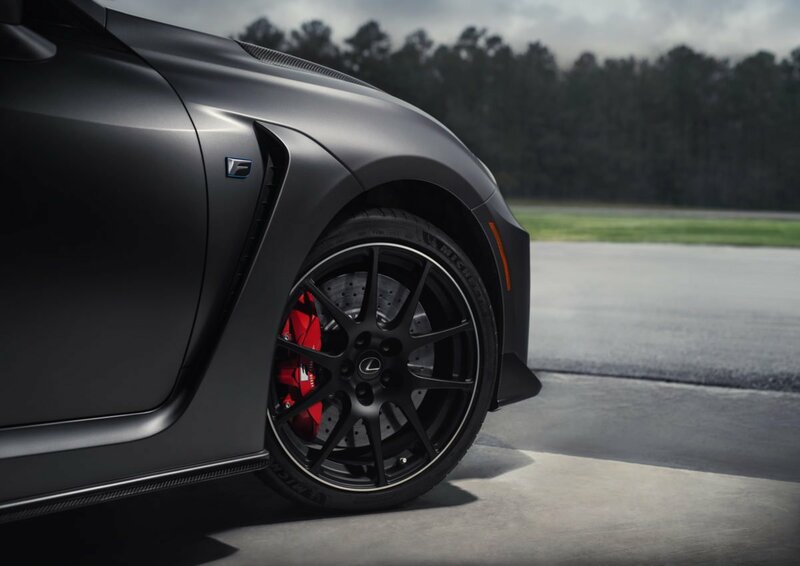 To make sure the RC F Track Edition maintains grip around the track, Lexus tasked Michelin with producing a Pilot Sport 4S tire specifically designed for the RC F Track Edition. 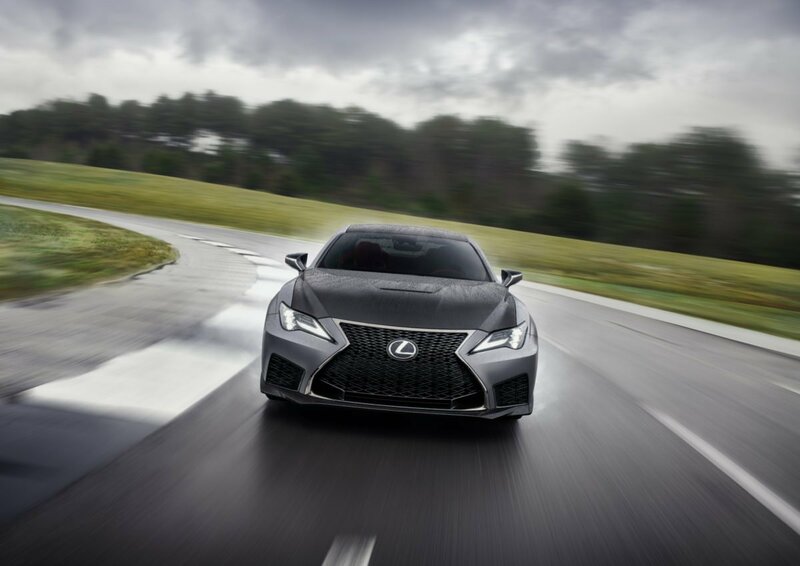 The changes are specifically designed to reduce understeer, improve lateral grip, and increase durability. 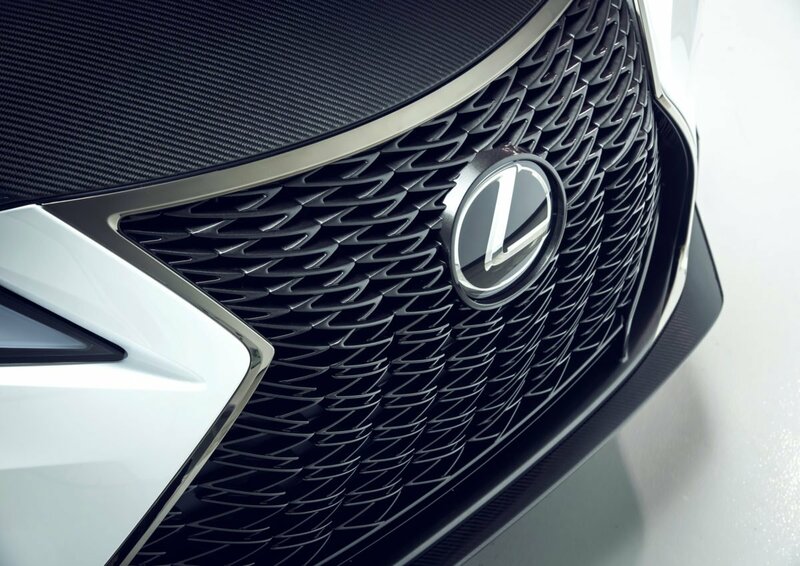 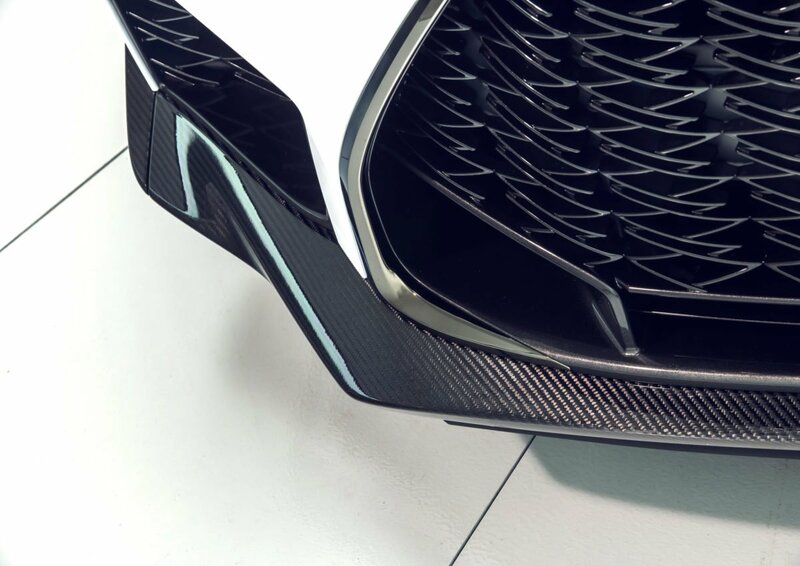 In the looks department, the RC F Track Edition has a unique carbon fiber front splitter with canards to increase front end downforce, while a carbon fiber fixed wing in the rear reduces drag and adds 58 pounds of additional downforce compared to the standard RC F active spoiler. 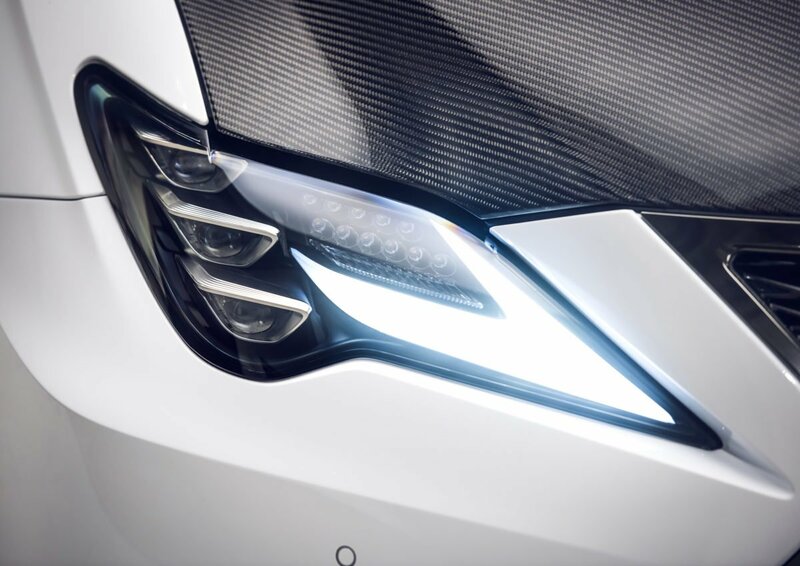 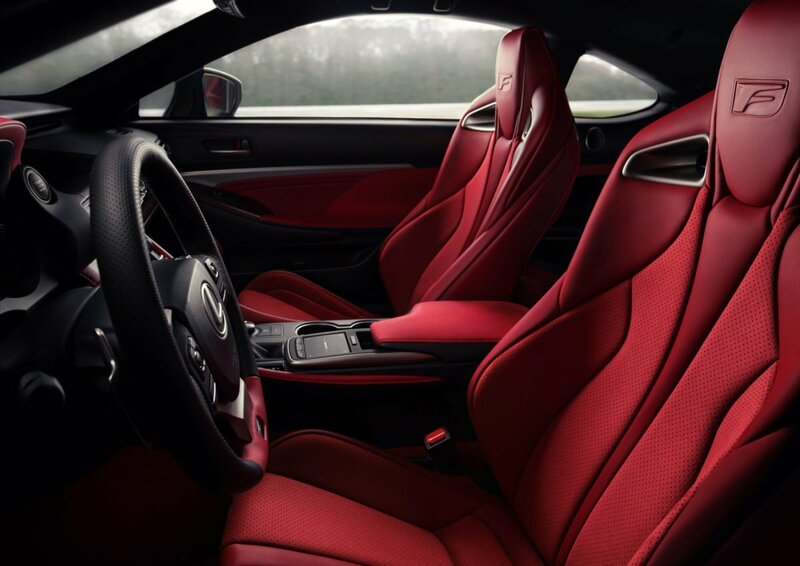 Carbon fiber is utilized in the roof and hood, as well as behind the rear seats and bumper reinforcements. 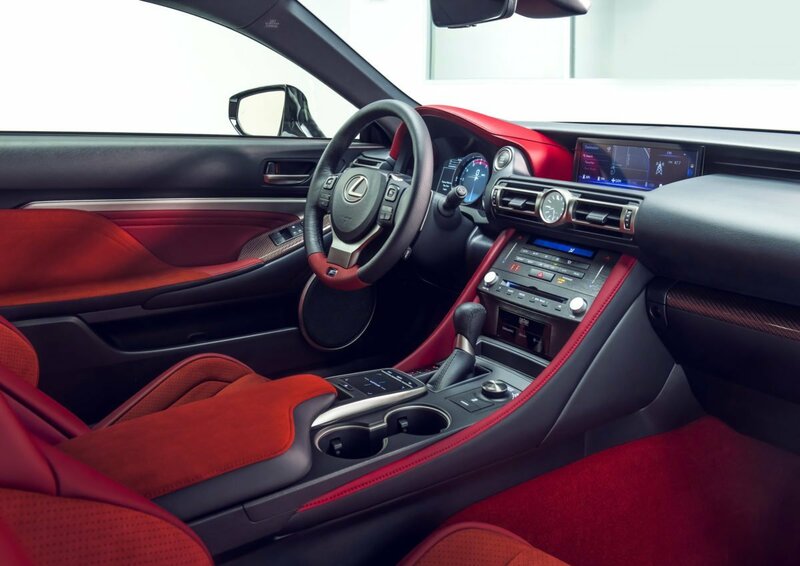 Lexus have given the RC F track edition features a standard red leather interior with Alcantara seat accents and red carbon trim on the doors and dashboard. 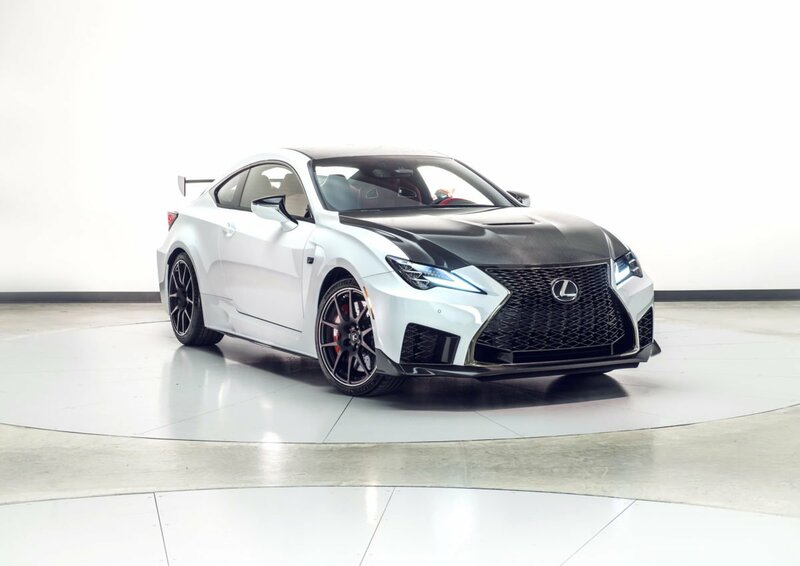 The RC F Track edition is only availabile in Ultra White and Matte Nebula Gray, which is exclusive to the Track Edition. 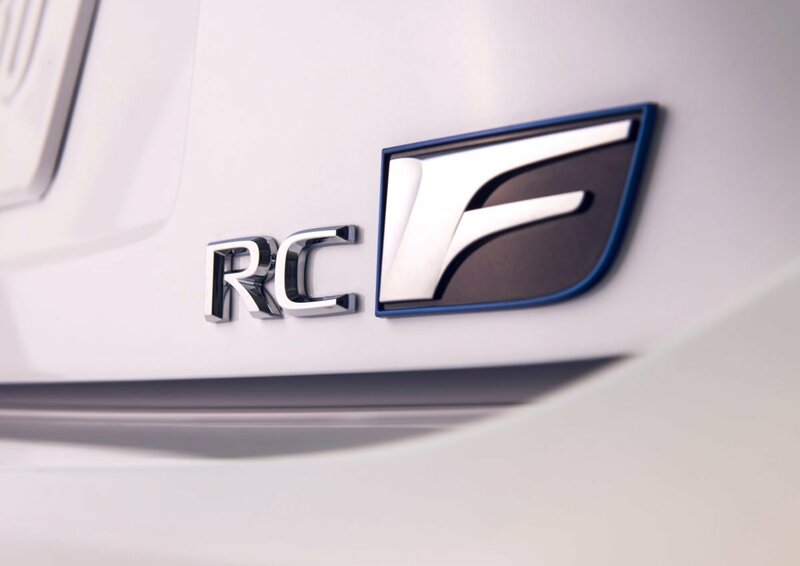 The RC F Track will be available in the second half of 2019.